Bring your kids, friends, family, & neighbors!! 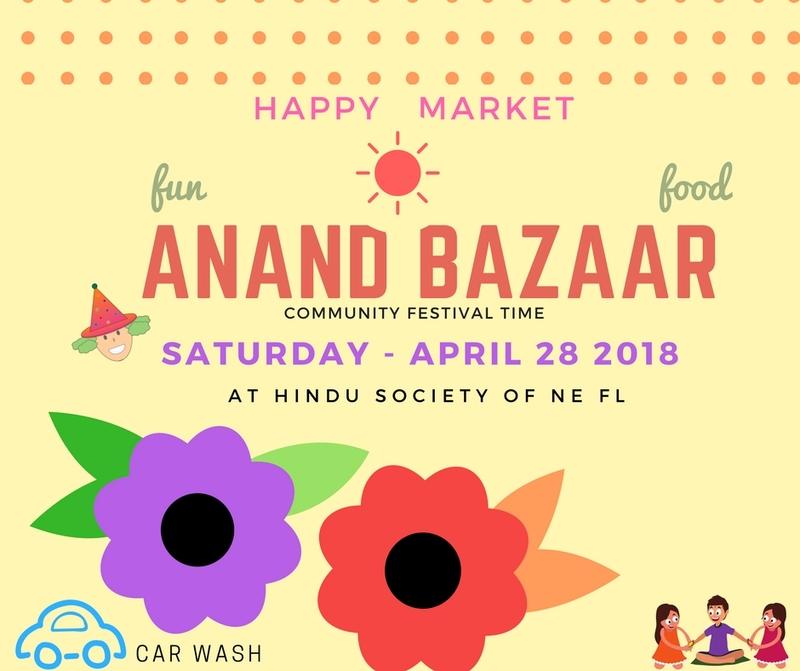 – and share great collective outdoor spirits – along with food, socializing, with all your friendly community members. 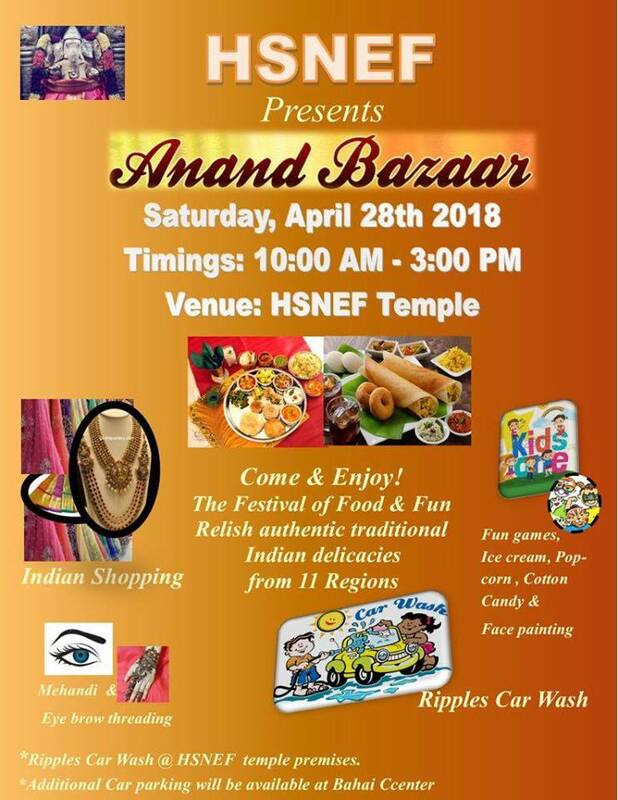 HSNEF is pleased to invite you at our Anand Bazaar of 2018 held on April 28th from 10 am to 3 pm.